KIEV, Ukraine -- The law on the land market, which was passed in first reading by the Verkhovna Rada, Ukraine's parliament, on December 9, 2011, might negatively affect the investment climate in Ukraine and form a caste of speculators on the land market, President of the Ukrainian Agribusiness Club Association Alex Lissitsa has told a press conference hosted by Interfax-Ukraine on December 16. 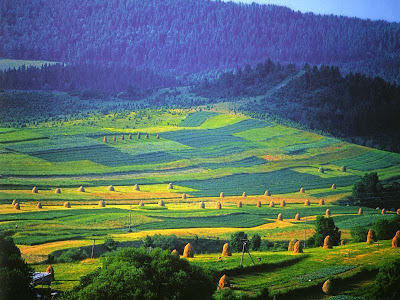 Ukrainian land near the Carpathian Mountains. "In my opinion, the bill that was passed last week can be described only as 'cheap populism.' We don't understand where our agrarian policy is moving and where will we find ourselves on some ten years," he said. 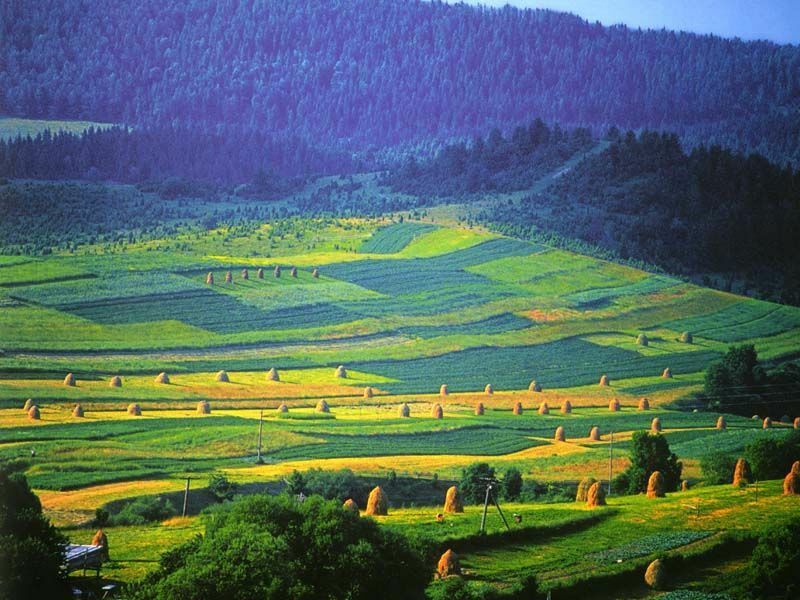 The expert stressed that the bill that prohibits sale of farming land to legal entities, restricts sales of farming land to 100 hectares, and limits leasing of land to 6,000 hectares in one district and not more than 5% of farming land on one region will have negative effect for development of the country's agroindustrial segment. Lissitsa said that significant investments, both foreign and domestic, have been made in Ukraine's economy over the recent five years. In particular, direct foreign investments in the agrarian segment in 2004-2010 amounted to $834 million. "It's very difficult to understand whether these investments will be directed to the agrarian segment in the next five or six years. We know perfectly well that the state does not have funds for the agrarian segment, unlike the European Union [which invests EUR 52 billion]," he said. In addition, according to Lissitsa, the current version of the bill on the land market may lead to the formation of "a caste of speculators" on the land market. He noted that this version of the bill contains a provision under which only those people who submitted declarations on incomes earlier will have the right to buy 100 hectares of land. "This means that owners of homestead land plots or private economies, who never submitted declarations on incomes, will be unable to buy land. As a result, a caste of speculators will appear that will buy 100 hectares of land and lease it to big agrarian companies," he said. As reported, the Verkhovna Rada, passed in first reading a bill on the land market on December 9, 2011 and prolonged the moratorium on the sale of land until January 1, 2013.